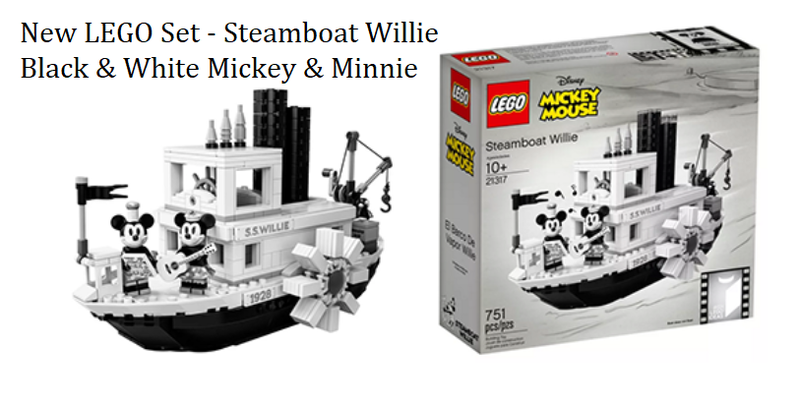 This new Steamboat Willie LEGO set was just released today and I absolutely love it! It is a black and white vintage Mickey with 751 pieces. As a reminder, you'll score FREE SHIPPING every day on orders over $35 with your LEGO.com purchase.